I love to have something sweet with my afternoon tea. 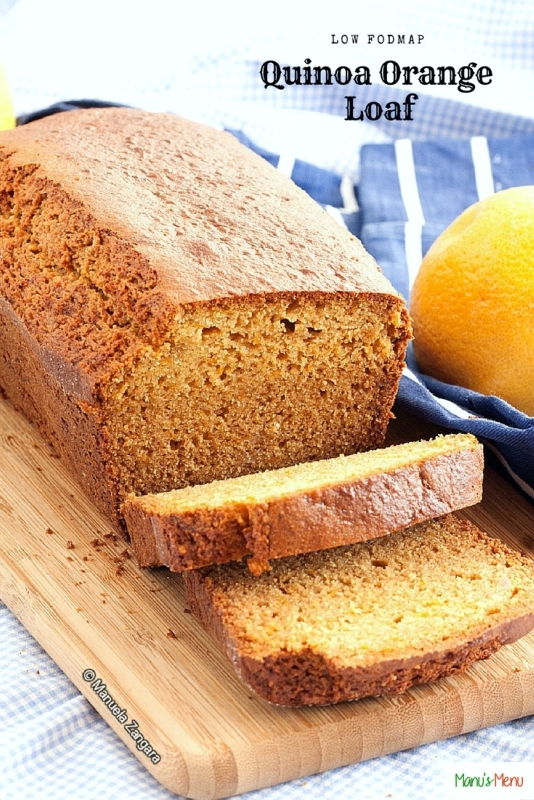 I discovered this Low Fodmap Orange Quinoa Loaf a couple of months ago, and I liked it so much, that I made it many times ever since. I always have a few slices in my freezer, just as a back-up in the event that I run out of suitable snacks. 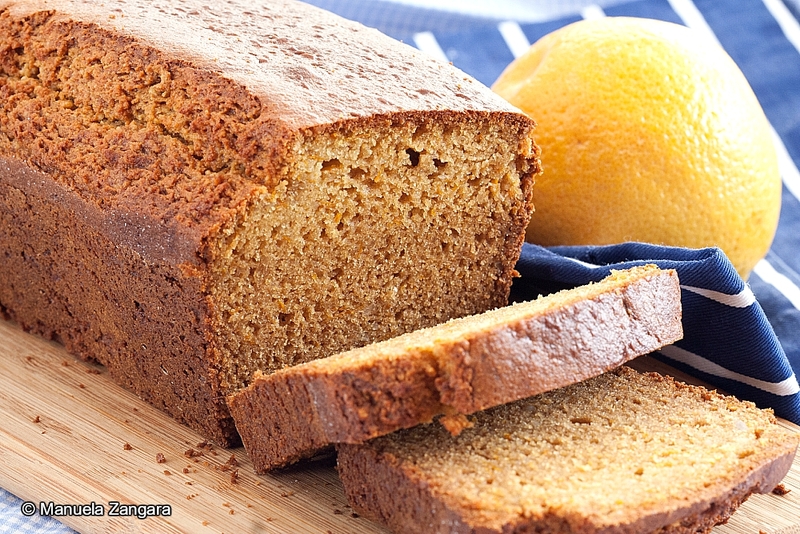 In fact, this Low Fodmap Orange Quinoa Loaf freezes extremely well, and I find that’s a huge plus. The original recipe called for almond meal only, but to make it even less “dangerous” for the sensitive tummies, I swapped half the almond meal for the same amount of ground macadamia nuts. If you are lucky enough to find ready-made macadamia meal in your supermarket, go for it. I can’t find anywhere I live, so I simply make my own by blitzing the macadamia nuts in a food processor until ground. Quinoa flour was another great find. 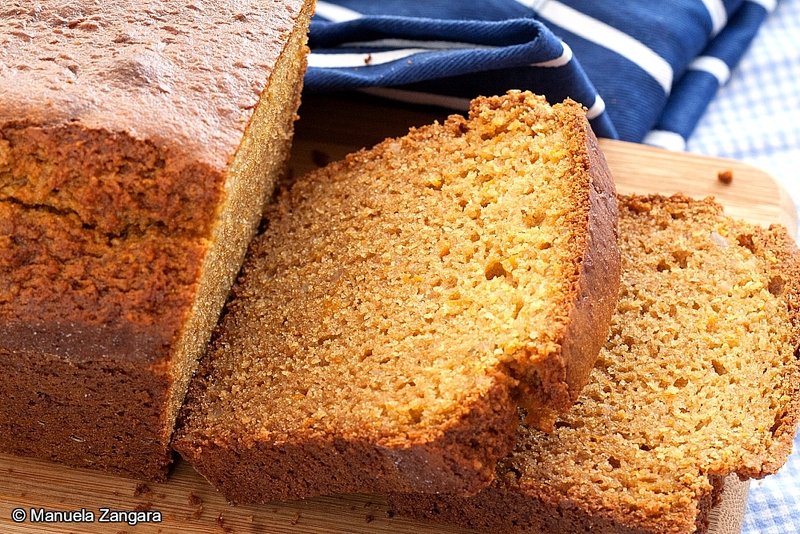 I had never used it before, and I really like the extra nutty taste it gives to this sweet bread. 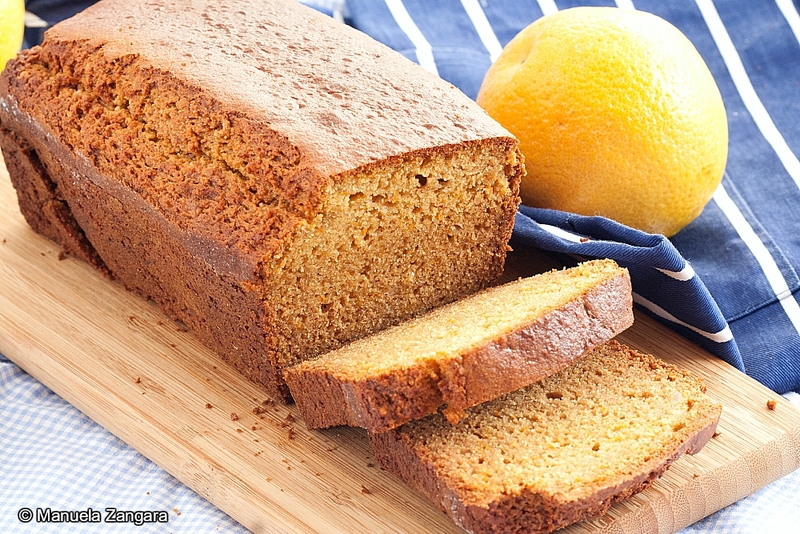 I also love the addition of grated Japanese pumpkin, as it helps the cake remain soft and moist. 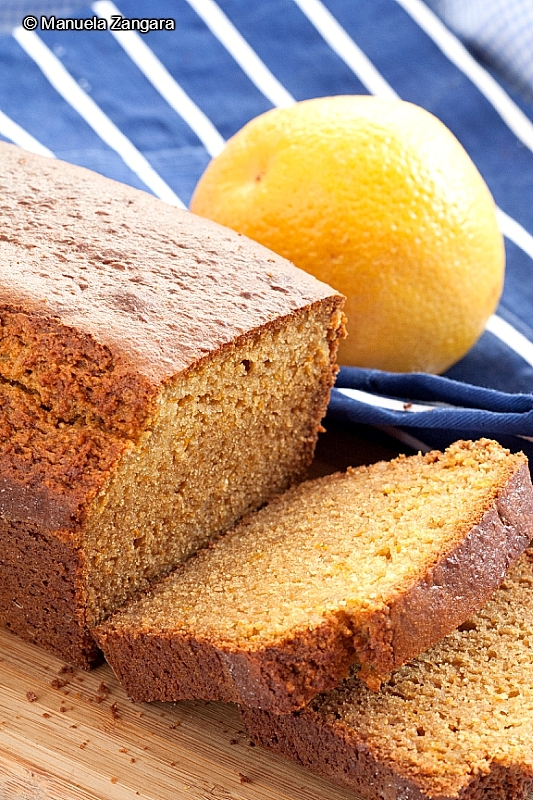 Ginger and orange are a match made in heaven, so you can imagine how good this treat is. It is an absolute must try! 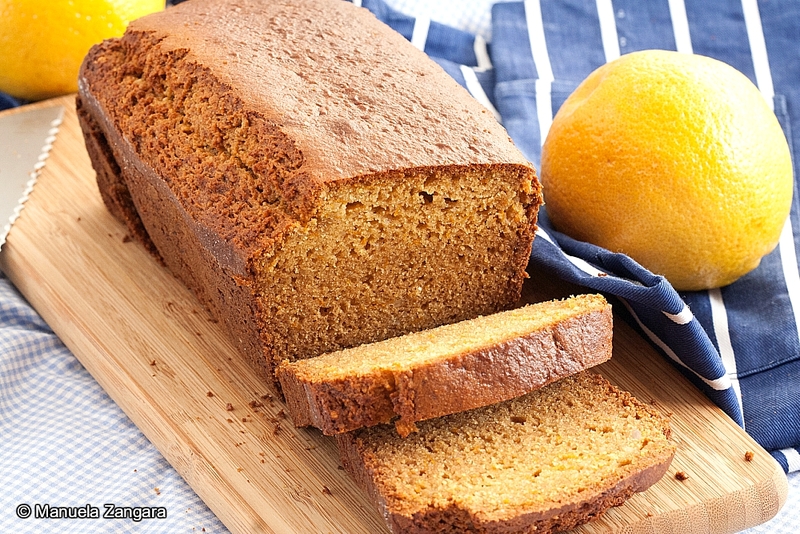 Low Fodmap Orange Quinoa Loaf – a moist, soft, spiced sweet bread that is perfect for your afternoon tea or breakfast. It is also gluten-free, lactose-free, and low fodmap. In a big bowl, mix together the quinoa flour, almond meal, ground macadamia nuts, caster sugar, soda bicarbonate, salt, and ground ginger. 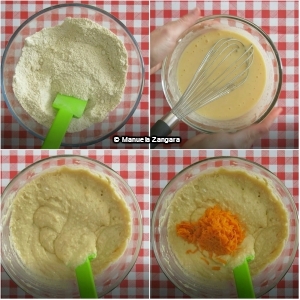 In another bowl, whisk together the eggs, lactose-free yogurt, vegetable oil, rice malt syrup, orange zest, and orange juice. Fold in the grated Japanese pumpkin. Put the batter into a greased and lightly floured 8x24cm (3x9.5 inch) loaf pan. Bake at 180°C – 355°F for 45 minutes or until a skewer inserted in the centre comes out clean. Remove from the oven. Set aside for 10 minutes before turning onto a wire rack to cool.